Starting from India and heading to the west, this area had strong contacts with ancient India from many years ago, and is said to have been a part of greater Bharatvarsha before the war of Kurukshetra, which is said to have been about 5,000 years ago. In the Ramayana we find wherein Valmiki describes present Afghanistan as Gandarvadesh. It was Pushkal and Taksha, two sons of Bharat, the brother of Lord Sri Rama, who defeated the Gandharvas to rule there in the capital that had been built as Pushkalavati (known as Pukli in Afghanistan) and Takshashila, now in Pakistan. Gandarvadesh became Gandhar in the Mahabharata era. A princess from Gandhar married a prince of Hastinapur, namely Dhritarashtra. The Gandharvas, when they were defeated at that time, moved farther west where they established the “Gana Rajya” republics. They continued to move farther west and established the Avagana Rajyas republics, which become known as “Avaganasthan” until the arrival of Islam when the name became Afghanistan. The rivers also changed names, such as the Kubha became the Kabul, Krumu became the Kurran, Gomati became the Gomal, Sarayu became Harayu, and the Sarasvati became the Harhaity. The Savastu became Swat Valley, and the mountain Mujavat became Munjan.In about 250 BCE, Emperor Ashok sent Buddhist monks to Avaganasthan and Buddhism was accepted. That is when vihars and stupas were built, along with huge images of Buddha on the hillsides. It was after the 10th century CE when many Islamic invasions took place and changed the Vedic and Buddhist nation to Islamic. Even Panini, the Sanskrit grammarian, was from Salatura, Afghanistan. 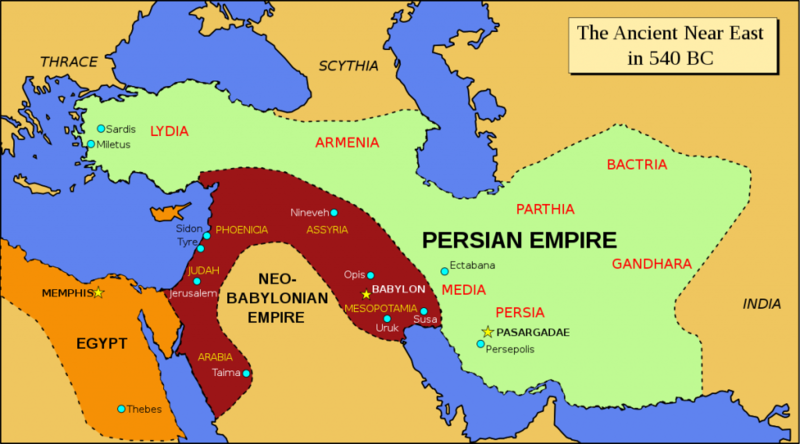 The Mahabharata also calls the area of Persia as the land of Parsikas, which some people think of as the Parsu (Axe) wielding people, who carried it for defense. However, this can also refer to those who were removed from Bharatvarsha by Lord Parashurama many years ago. The name Persia is a derivative of the Sanskrit name Parasu, which was the battle axe of Parashurama. Lord Parashurama had led 21 expeditions around the world to chastise the Kshatriya warriors who had swayed from the Vedic principles and became cruel and unruly. This was before the time of Lord Ramachandra. Persia was overrun by Lord Parashurama and his troops and succumbed to abide by his administration. According to E. Pococke on page 45 of his book, India in Greece, the land of Persia was known as Paarasika. The Persians or Parsikas, having been banished from Bharathvarsha by Parashurama, later changed their religion even more with the appearance of Zarathustra who established Zoroastrianism. However, it is said that the Parsis who have settled in India are accepted as the Parsikas, the ancient people of Persia, and are also related to the Koknastha Brahmins of Maharashtra who worship Parashurama at Chiplun in coastal Konkan. Dr. Poonai is another researcher who describes the ancient migrations out of Bharatvarsha, India. He explains that several Sanskrit speaking Aryan clans emigrated to the west beyond the Aegean area. He says that in the early part of the third millennium BCE that states of Caria, Miletus,Lydia, Troy, and Phrygia and surrounding areas were occupied by people who spoke various Sanskrit dialects. The Indian fables, legends and literature also made their way to the West and into the Middle East as early as the 6th century BCE and had considerable influence wherever they went. The earliest of these collections included the Buddhist Jatakas, and the Vedic Panchatantra and the Hitopadesha. Also the Shukasaptati was translated several times into Persian under the name of Tutinamah, and through its transmission many Indian stories found their way into Europe. The story of the two jackals, Karkataka and Damanaka is yet another example of an Indian fable which was rendered into Pehlavi in the sixth century, and then in the seventh century into Arabic before being translated into Persian, Syriac, Latin, Hebrew, and then Spanish. Most of these fables and stories, if not all, were woven into the very fabric of European literature, and Indian motifs continued to be utilized in medieval Europe no matter if people recognized them or not. Here we can see also, as did Pococke, how the names of the countries changed yet still held the seeds of its original influence, and from where that influence was coming from. 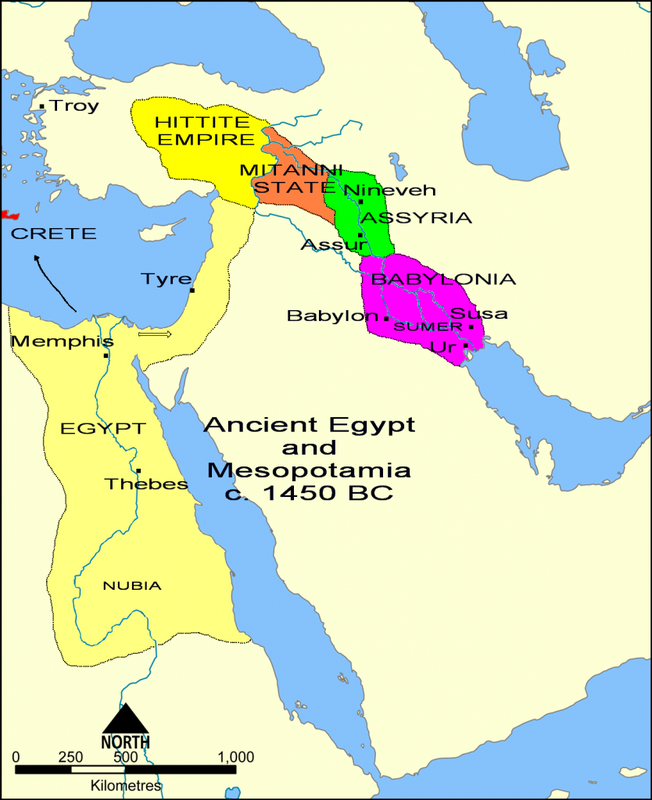 The Sumerians were considered some of the earliest residents of the Middle East, namely Mesopotamia, who originally came from or had been a part of Bharatvarsha. The Sumerians also claim to have originally entered the valley of the rivers Euphrates and Tigris some four thousand or so years BCE, bringing with them some basic elements of civilization already developed to its final form, such as a script and a code of law. The original homeland has not been positively identified, yet many researchers have stated that the Sumerians were a part of Vedic Aryan culture, meaning that they had to have come from the land of Bharatvarsha. The spread of the Vedic culture into the region of West Asia can be seen with the Kassites in 1750 BCE in Mesopotamia, where they worshiped Surya. Other Vedic groups were undoubtedly in the intermediate region of Iran, which consisted of several ethnic groups including the Elamite and the Turkic. This shows the reason why the clay tablets excavated at Boghazkoi in Asia minor in 1907 invoked the gods as guardian of the treaty with the names of the Vedic gods, such as Mitra, Varuna, Indra, and Nasatyau. This was the treaty between the Hittite king Shubbiluliuma and the Mitanni king Mittiuaza at the beginning of the 14th century BCE. This sheds a good deal of light on the Aryan expansion in that part of the world 1400 years before the Christian era. The princes and towns and gods bearing Sanskrit names or names derived from classical or Vedic Sanskrit abounded in Syria so freely that it is natural to presume that there had to have been a settlement from India in that region during this period of time or even earlier. Or that the area of Mesopotamia was once a part of the Vedic culture, and many of the people there had been worshipers of the sun, or Surya. This is where Syria, once called Surya, got its name from the tribes of sun worshipers there. The Druhyus ruled in northwest Aryavrata some 5000 years ago, but after being defeated by the Purus, they moved to the northwest. They brought their culture with them as they moved through different areas of Central Asia. 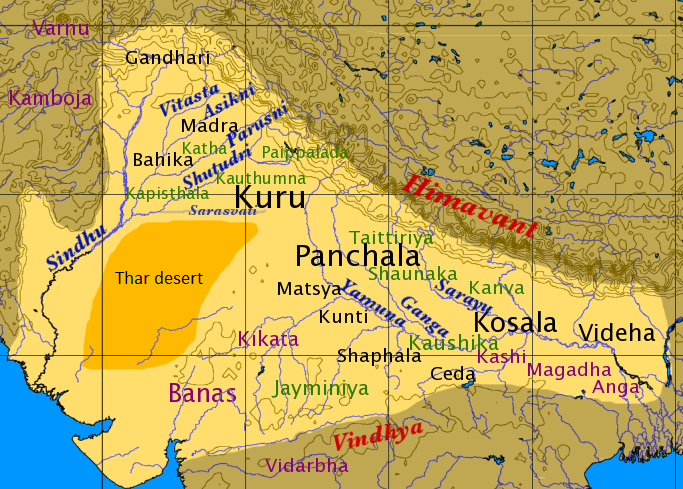 The Vedic relics in these areas arrived there because of the Druhyus. However, they were greatly reduced during the onslaught of Islam. Nonetheless, they became known as the Druze and still practice similarities of the Vedic tradition where they can presently be found in Lebanon, Syria, Israel, and Jordan. Amongst the Druze prophets, Jethro is one of the most recognized, and is a major preceptor of the Druze. Some consider him to be the father-inlaw of Moses, though the Druze feel Jethro was only the guardian of Zipporah and not her father. Nonetheless, Jethro had great influence over Moses. Jethro was a Kenite, a part of the Midianites, a tribe descending from the sons of Keturah who were sent by Abraham to the East, such as India. It is from there, it seems, that the origins of the Druze oral and written traditions were based. And in turn, Jethro was the teacher of Moses. In this way, the roots of the Judaic traditions are likely to have been based on the Vedic culture and its philosophy of India, through the instructions given by Jethro. The Druze are considered to be an Arabic sect of Islam, though an unorthodox one. Still, most Druze believe their roots to be in India. And they can still easily relate to the teachings as found in the Vedic texts today. Their own scriptures describe a history dating back hundreds or millions of years, with avataras of God appearing in human form on a regular basis. They also accept the transmigration of the soul from one body to another as a central tenet of their philosophy. In fact, the late Druze political hero and renown spiritualist Kamal Jumbalat often glorified Lord Krishna, the Bhagavad-gita, the Ramayana, and other Vedic texts and divinities in his own writings. He also spoke about the Druze going to India and taking up the renounced order, such as sannyasa. Jumbalat himself was a vegetarian, and later lived accordingto the principles of the retired order as found in the Vedic system. The term “Druze” was coined by the Muslims of the time. Nearly 1000 years ago El Drazi was considered a heretic, and the other Muslims, to deride this new sect that he was a part of, referred to the group in a derisive manner using the name of El Drazi to identify it, which became the Druze. The Druze considered themselves as the Muwahidoon, meaning the one, eternal religion, similar to the meaning of Sanatana-dharma. 32 The current manifestation of the Muwahidoon, known as the Druze, oiriginate from al Hakim Bi-Amr Allah, the sixth Fitimid Caliph, who ruled Egypt during the late 10th and early 11th centuries. Some Druze have revealed that the original language of their scriptures was Sanskrit, and that avataras such as Buddha and Krishna are described therein. In briefly looking at Turkey, more recent research by B. G. Sidharth, writing in his A Lost Anatolian Civilization: Is It Vedic? (Research Communication, 1992), relates that he was startled to see a sculpture of the head of a priest, excavated at Nevali Cori in Anatolia (present Turkey) by archeologists headed by Professor Harald Hauptmann of Heidelberg. Sidharth had gone to the Nevali Cori site. 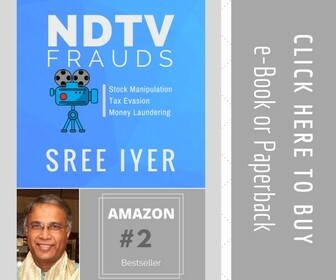 Sidharth in mentioning the head said, “It is identical to the head of a Vedic priest, so common in India even today. 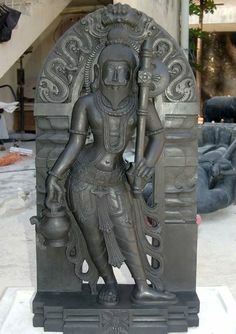 The sculpture represents a clean shaven head with the typical plait or Shikha.” According to radiocarbon analysis, this head dated to further back than 7000 BCE, thus making it clear that the Vedic Aryans had been in this area from before that time.